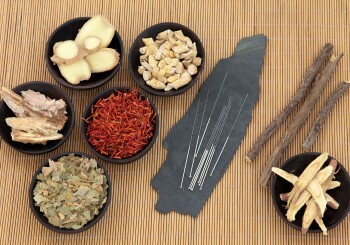 Our acupuncture therapies and herb remedies have been proven effective for a wide range of illnesses from common cold, cough, sinusitis, allergies, gout, neck/back/knee pain, asthma, menopausal symptoms, to complicated health conditions, such as arthritis, heart diseases, insomnia, infertility, depression, ADHD, diabetes, obesity, and other chronic conditions. CLICK HERE TO TAKE A QUICK TOUR OF OUR CLINIC! "I went to Dr. Andy Lee in the 1st week of 2016, Within three days after a single acupuncture session, my more-than-2-week-long cold symptoms of sore throat, mucus, runny nose, cough, etc., were completely gone. The effectiveness speaks well for his capabilities. 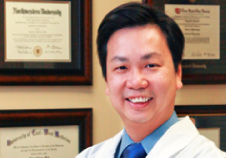 Dr. Lee and his staff are all very knowledgeable, patient, friendly and responsive. Just make sure to call ahead for an appointment." " I used to catch a cold/flu pretty much every month and would lose my voice every season and ended up having to take antibiotics for sinus infection or ear infection... Within a month of treatment, I started to feel much stronger. For the next couple months, I caught a cold much less frequently. Even when I did catch a cold, my body was able to fight it off without having it turn into sinus infection. In addition, I was finally able to sleep at night without sleeping aids. I feel that my overall wellness is well improved after coming to YoungQi." Spring 2015, I was suffering from seasonal allergies, because of the 4 years long draught in CA, my allergy is getting worse every year. I couldn’t sleep longer than 6 hours:( I went to see Dr. Andy Lee, for 5 times needle on my face, one day I woke up after 8 hours sleep, I just couldn’t believe it! Hope I can be allergy free next year !!! "We took our 11 month old daughter in to see Dr. Lee for her eczema that has started since month 3 and had gradually crept all over her body and face... I'd say it was the best money we ever spent for my daughter! She made significant progress after only a day- I haven't seen her skin so smooth and soft for so long! It's been almost 2 months and 3 visits after the initial visit. While she's not 100% eczema free, she most of the time only has dry patches on her ankles and wrists, and her flare ups were a lot more contained. " "I heard Youngqi Clinic from 92.3 radio station. Dr. Lee explains the Chinese medicine theory in a very logical way, and not leaving it as fantasy and miracle, unlike a lot of other Chinese medicine doctors who feel just like reciting what symptom to what treatment. As an engineer, I enjoy listen to his program on how he analyzes and tackles those complicated cases. I learned a bit to observe and analyze myself's body, too. " "I went to see Dr Lee after I was so disappointed in my primary physician, OB/GYN, Endocrinologist , ENT, Allergy and Immunology specialist. All the western doctors told me I am fine, but I feel I am so sick and whole body is not right. After talking those western medical pills, all MDs still told me I was fine and asked me to live with it. Dr Lee used the Chinese Medicine way to treat me with Chinese herbs and also encourage me to try Chi-Gong and Tai-Chi. just having Chinese herbs for one month, everyone can see my change. my health is getting better. After I continued to use Chinese herbs for several months, I can manage my health better and better. Dr Lee suggest me to continue follow the new life style and keep it up by myself. Several months later, I went back to do a follow up with Dr Lee. He told me my health come back to a better stage now. I can either do another treatment for my other problem or I can do some exercise, Chi-Gong and Tai-Chi to see how my health changes. I am so happy I try the Chinse herbs from Dr Lee." "I was referred to Young Qi by a family friend after my doctors at Kaiser were unable to diagnose me despite doing almost every test possible on me. I had lost 20 lbs and felt ill and was dry heaving for over 2 months and was not improving. I had to go to part-time at work and the illness was greatly affecting my life. I saw Dr. Lee when out of desperation a family friend recommended him. Dr. Lee was able to immediately cure my dry heaving and has started me back on the road to recovery. I was not a big believer in Chinese medicine, but it has definitely done more for me in a few weeks than Kaiser had done in over 2 months. It wasn't a miracle cure as I'm still recovering, but I feel much better and can almost return to work full-time and I have begun enjoying some time with friends again." I had been having some blood cell in urine for more than 10 years and family doctor said there might be some stone in kidney and checked with CT and ultrasound. But they seemed not visible under those equipment, and none further medicine or surgery was given. At last two years, I started feeling tired easily, more wakeup and peeing at night. Family doctor still told me my indicator is still just at border line and no wary. Referred by some friend, went to see Dr Lee if he can help. Here is amazing thing happened, just after two times visit and following with two different Chinese medicines, my body felt much better. Asked family doctor for urine test again a few months ago and result showed Negative first time for 10 years. Would attach some data here if yelp is capable to attach image. Really appreciate Dr Lee, not only treatment also for all the knowledge he interpreted from new modern science view for traditional chines medicine. Strongly recommend if something bothers you and family doctor keeps saying just monitoring! Comfortable and stylish clinic. Dr.Lee is very caring and worked all his efforts to listen and provide advices for my issues/problems. As a Chinese, I believe that Chinese medicine treatment can really cure the root causes of many diseases but I am afraid of going to any chinese medicine doctors because none of them seem trustworthy to me. After I visited YoungQi clinic, it gave me an impression that they are trying to run the clinic in a professional way. And they use all the professional equipment/facility to treat their patients (instead a dirty backroom behind a Chinese herb retail store). The Chinese herb medicine is very effective and is organic made. I will recommend Youngqi to all my friends!